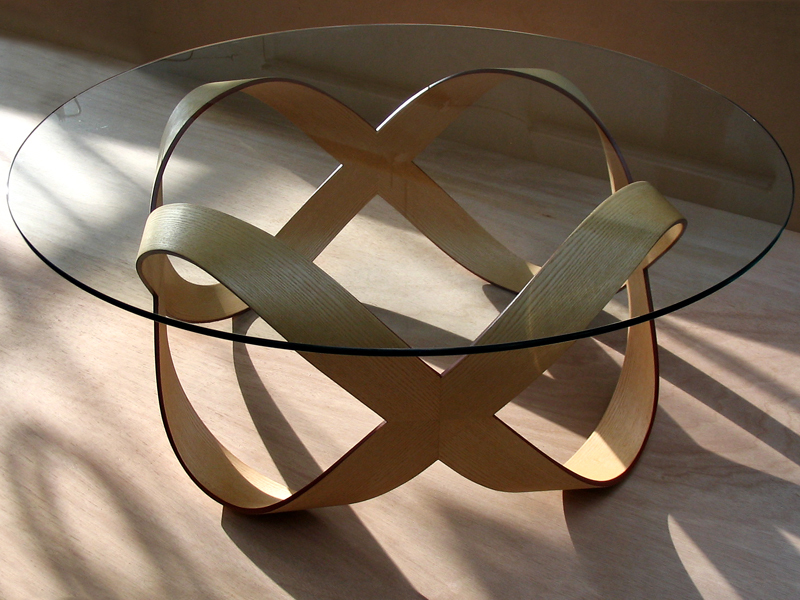 ‘Infinity Squared’ is a development of the multi-award winning ‘Infinity + 1’ table. It offers the same intrigue and beauty through its elegant, flowing lines but is smaller in size and has a character of its own. 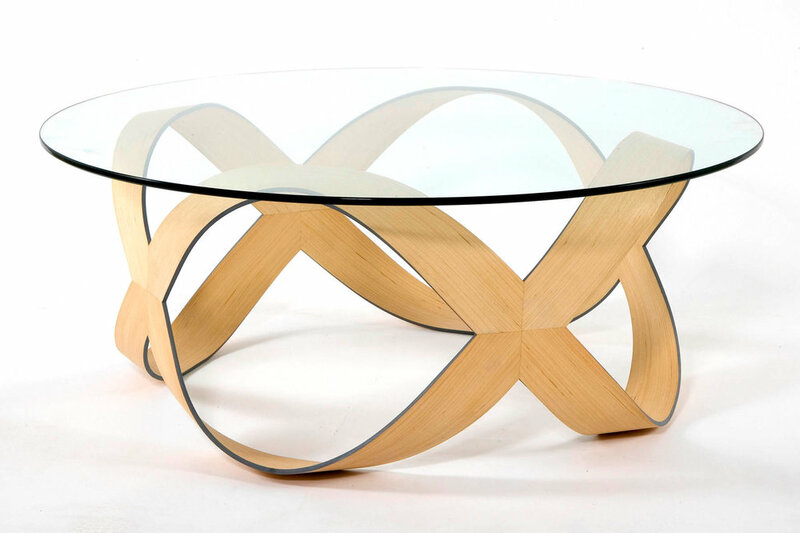 Designed to be a piece of functional sculpture, the table is contemporary in style but capable of sitting in many environments thanks to its relaxed, harmonious form. The aesthetic simplicity of ‘Infinity Squared’ masks its complex construction and the deceptive strength of such a slight structure. Available in American Black Walnut, Maple, Sweet Chestnut or Cherry as standard, other timbers, including coloured veneers, are possible but may incur a small surcharge. Edge colours can be matched to specific colours or existing décor.